The Union Mall is the middle floor of Student Central and home to the main Students' Union offices plus many other great services. The Students' Union is the home to the UBU sabbaticals and staff, and our reception, so if you want to get involved with our sports, societies, media or volunteering, get support with your studies, or want to get something raised that's important for the student body, this is the place to be. You can find out more about the Students' Union throughout this site! The Advice Centre is your one-stop shop for support with academic, housing, finance or personal issues. The team can support you through your studies. Find out more about the Advice Centre. 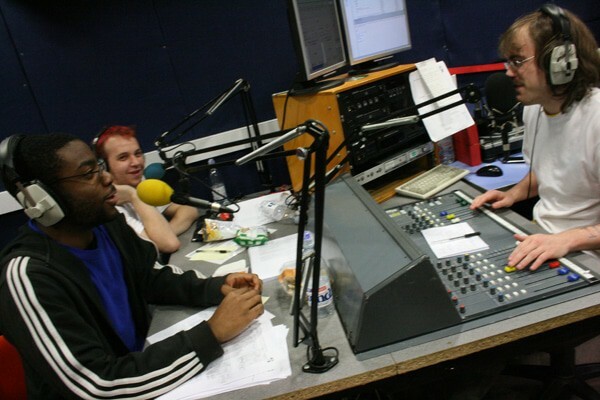 RamAir is our student radio station with state-of-the-art facilities for broadcasting and recording. As well as joining up as a presenter or member, you can use our recording facilities for student projects. Find out more about RamAir. The Activities Room is perfect for theatre rehearsals, presentations and meetings. Just:Shop is your one-stop, well, shop for food, drink, snacks, stationery, clothing, frozen food and much more. With the best student prices, you can pick up something today! We have our own Costa Coffee on the Union Mall, serving a wide range of coffees, tea, hot chocolate, sandwiches, soups, jacket potatoes and much more. The Counselling Service exists for all enrolled students and staff of the University of Bradford and Bradford College, and provides an opportunity to talk confidentially and in private about any matter which may be causing concern. The counsellor will offer an understanding, caring atmosphere and will listen carefully to all that you may need to say. The aim of the process is to help you to understand your situation to the point where you can see for yourself the most appropriate course of action. Visit the Counselling Service website. The Societies Space is the perfect space for holding society meetings stalls or small fayres. The upper floor of Student Central is home to the Careers and Disability services, alongside our Student Cinema and bookable seminar rooms. We have a range of seminar rooms that are bookable for student meetings, study groups and lots more! Each room includes tables, chairs, a computer and large interactive screen, so are really flexible for your needs. Our 180-seat lecture theatre is brilliant for running large meetings, big presentations or speaker-based events. With microphones and a massive projector available, this is a very flexible space. Plus, it's the home for our Student Cinema. Careers is the perfect place to find employment during your time as a student or as a graduate. If you are a student with disabilities you can visit here for support. On the top floor of Student Central there are cluster rooms with computers to use, as well as computers available on the upper corridor. The ents mall is home to the University's four bars and is the venue for big club nights, but is also available for dance classes, food-based events, birthday parties, fundraisers and lots, lots more. The University Sports Bar includes its own fully-stocked bar, pool tables, darts board and massive televisions showing the biggest sports matches from across the board. Open during the day, evening and night, it's a great place to grab a drink, snack or meal. The Amp and Central Bar are two massive venues with two bars and a stage area. During the day and evening you can play pool, enjoy the great music and enjoy a selection of alcoholic drinks, teas and coffees, snacks and meals, and at night it can be transformed into a fully-kitted-out club venue. 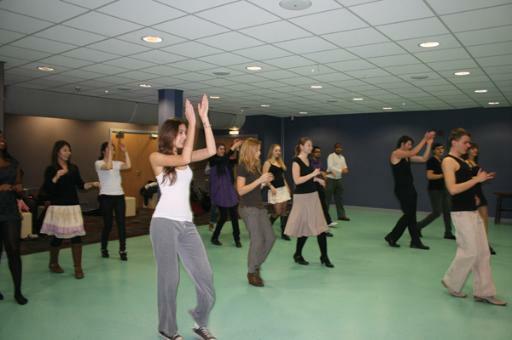 The Biko Room is a perfect space for Societies large meetings, dance sessions and much more! The Communal Hall is used for society meetings, theatre productions and much more, alongside events with food such as international cooking thanks to its attached kitchen. It also includes four XBox and Kinect units for gamers. Escape is a 100-capacity nightclub with its own bar and DJ point, perfect for smaller club nights, niche events, birthday parties, fundraisers and much more! The Ents Mall overlooks our beautiful amphitheatre. Perfect for chilling out on in the good weather, there are pads for barbecues and access to the Amp Bar for refreshments. 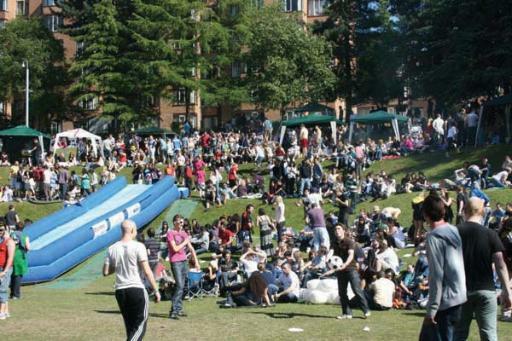 It's also the venue for our annual massive Party On The Amp end of term event.